In this week's Big Deal post, we're trying something a little bit different. Gone is the gigantic list of deals, and in comes only the very best deals this week. Please note some of these are available today only, so pounce if you like them. And apologies in advance if you miss out on a deal if you caught this after Tuesday. For this week, lots of quality games are on sale, including AAA titles such as Far Cry 3, Aliens: Colonial Marines, and Civilization V. Out of all these games, we've only had experiences with Civilization V, given that the Dealzon crew is comprised of strategy game nuts. Having said that, FPS games are still definitely our top to-play genre. We're looking forward to eventually trying out Far Cry 3, which was highly rated on The Escapist at 4.5 stars. Gearbox Software's Aliens: Colonial Marines is another noteworthy title we're keeping our eyes on, especially since we're long time fans of the Borderlands series. A quick glance at Metacritic shows reviews are quite mixed, but it's probably related to the fact that the game hit a few development snags. It'll be interesting to see if upcoming DLCs will salvage the situation, but many would argue a game shouldn't require DLCs to round out its content. Check out the full list of today's deals below. If there's anything you want to see in future Big Deal posts, let us know and we'll strive to incorporate feedback where possible. If you still haven't taken a look at Far Cry 3, Groupon (yup, the daily-spa-deal guys) has the PC physical DVD copy for $30 with free shipping. This is a relatively rare deal, considering that since its December 4th release, Far Cry 3 has never gone below this price - even for the digital download edition. On the console front, the 360 and PS3 versions are both $39 with free ship. Resident Evil 6 hits a new low this week. Best Buy dropped the 360 and PS3 console prices to $19.99 with free shipping. That's $5 off the previous best Black Friday price of $25. Lately the game has been selling in the $30-$40 range. Shortly after Best Buy discounted it, Amazon decided to price match, but you need a total order of $25 or more for free shipping. Max Payne 3 for Xbox 360 and PS3 fell to a new low of $17.99 today. Surprising it took almost three months to beat the previous low price of $19.99 back on Cyber Monday. 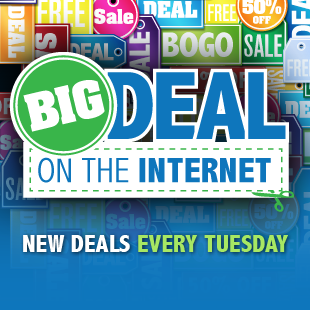 This is a Tuesday-only deal from Best Buy. Aliens: Colonial Marines hits the shelves today, February 12th. The best PC download price is at Green Man Gaming for $40 after a 20% off coupon code. Last week we saw a slightly better 25% pre-order discount ($37.50), but it's still a solid discount for a game's release day. The same coupon code drops the Season Pass from $29.99 to $24. The Pass gets you four DLC packs which will release individually for $9.99 apiece. The coupon code expires February 22nd at 12pm Eastern. Colonial Marines activates on Steam. Next week's Tuesday release Metal Gear Rising: Revengeance on PS3 and Xbox 360 comes with a $10 gift card at NewEgg. That's the first bonus offer seen on the PS3 version. For the Xbox 360, it's not a bad offer, but you might be better off going with the Microsoft Stores pre-order bonus of 1600 Xbox LIVE points bonus, a $20 value. Naughty Dog's highly anticipated The Last of Us is now available for pre-ordering. NewEgg is courting potential buyers with a $10 promotional gift card bonus. The gift card works on anything at NewEgg and expires in a year. While this deal isn't as compelling as the straight-up $48 pre-order promo code we saw 4 months ago, a pre-order 9 months in advance was a little bit of a stretch to mention strongly at the time. This week, GameFly has Civilization V for only $5.99. That's after a hefty 75% instant savings discount and stacking 20% off coupon. That ties the previous low, last seen on December 22nd. The current next best price online is $24 at Amazon, but you'll find the game is usually discounted to around $10 - $15. Game activates on Steam. The ever-popular indie platform game Super Meat Boy is on sale again at Green Man Gaming, going for $3 after coupon. It's listed at $15, but you can usually find the game on sale for around $10 to $13. All-in-all, $3 is a solid price, even for an October 2010 released game. This game activates on Steam.